Emmy Bean is a singer, performer and teaching artist living in Chicago. She sings, writes songs and performs with 80 Foots, Escargatoire, and the Monthly Music Club. She also performs frequently with Opera-Matic in the parks on Chicago's northwest side. Emmy teaches in Chicago Public Schools with Chicago Arts Partnerships in Education and in children's hospitals with Snow City Arts. Recent performance work includes: The Little Match Girl Passion with Facility Theater, You're His Child, a solo performance, A Memory Palace of Fear with Theater Oobleck, Erica Mott's Trials and Trails at Steelworkers Park, Baudelaire in a Box with Theatre Oobleck, and The Carter Family Family Show with the Neo-Futurists. As a registered Music Together teacher, Emmy enjoys the unique communities of music-making that are formed in mixed-age classes, and is most enthusiastic about working with young children and families. Her teaching uses the spirit of play as a primary mode of learning and connection, and she builds on educational practices from theater and performance to support music learning for young children and their families. She holds an M.A. in Interdisciplinary Arts from Columbia College Chicago and a B.A. from Vassar College, with a concentration in Music and Culture. As a music educator, Kristen has been very influenced by the foundation of Music Together®, believing that all children are musical. Her most recent passion is studying towards her Dalcroze Eurhythmics certification at Carnegie Mellon University in Pittsburgh. A kinesthetic music education approach, Dalcroze Eurhythmics explores the principles of music utilizing the body as the main instrument. She currently applies the principles of Eurhythmics to the talented students of Sherwood’s Suzuki Preparatory Program. She is very passionate about working with children and adults who are differently-abled, and finds that music is the bridge connecting her to them. A percussionist, drummer, dancer, and singer, Kristen has been actively involved in many different rock/blues and drum theater bands around the Chicago-land area. Kristen Regester received her Bachelor of Music in Instrumental Music Education from the University of Michigan in Ann Arbor. She began her career at Sherwood, The Community Music School at Columbia College Chicago in 1999 teaching for both the Early Childhood and Percussion departments. After gaining her Music Together® certification, Kristen developed curricula such as Percussion 4 Kids©, Exploring Musical Instruments©, and BE the Music!© for children ages 3-6. In 2008, she gained the administrative role of Early Childhood Program Manager and has been leading an amazing faculty ever since. Kristen is forever grateful to all of her students who teach her an exponential amount everyday, and often wonders if she is the student. Ronnie believes that music is an integral part of the human experience, and she loves sharing her passion for music-making with very young students and their parents. Ronnie Kuller is a composer and multi-instrumentalist based in Chicago. 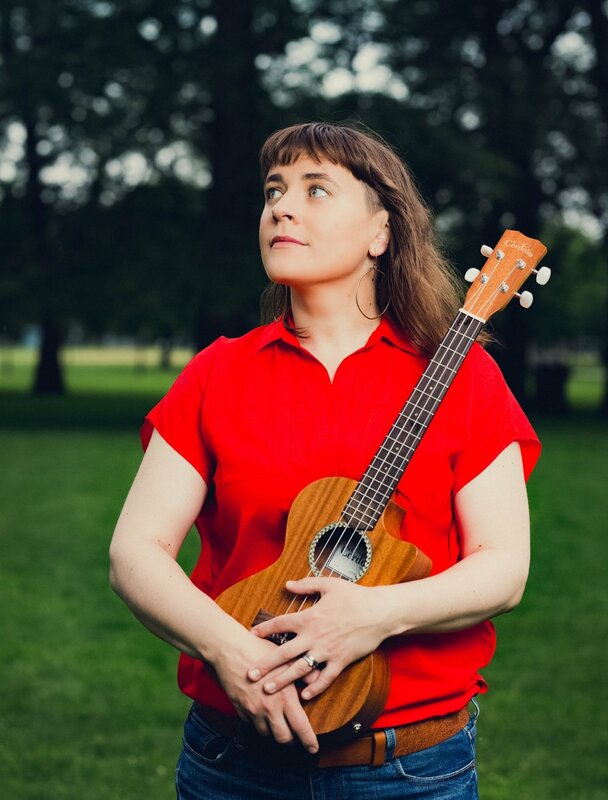 She has written music for the Bach and Beethoven Experience, Theater Oobleck, Mucca Pazza, the Cambrians, the Actor’s Gym, the Neo-Futurists, and Opera-Matic. She has performed at impressive venues across the land including Orchestra Hall at Chicago’s Symphony Center, Mass MoCA, Pritzker Pavilion at Millennium Park, the Watermill Center, Lincoln Center, and the Kennedy Center for the Performing Arts. She has collaborated with and orchestrated for the Chicago Sinfonietta, and performs regularly at Weegee's Lounge as the piano accompanist for singer-songwriter Mister Tom Musick. One of her compositions, "Tube Sock Tango," was recorded onto wax cylinder at Edison National Historical Park, and was also featured on the original Amazon series Transparent. She spent twelve years as a Musician-in-Residence at Snow City Arts, where she taught individualized music workshops to pediatric inpatients at Rush Children’s Hospital and Stroger Cook County Hospital. Ronnie is a 2013 3Arts Awardee and a 2015 3Arts Ragdale Fellow. Ronnie has taught Music Together at Sherwood Community Music School since 2006. Jessica Baker is a dynamic and compassionate music educator whose love and enthusiasm is truly contagious! She can be seen teaching Music Together classes on Saturdays at Sherwood. Born and raised in Minnesota, she earned degrees in both Music Education and English Literature from Concordia College in Moorhead, MN. Jessica found that while her first love was playing the horn, her passion is teaching. She is a certified K-12 music teacher in the state of Illinois and currently works full time at Carl Von Linne School teaching general music as well as the after school theater program.